than others. Allergies to cows' milk, eggs and soybeans are more likely to be outgrown than allergies to peanuts, tree nuts, fish and crustaceans. 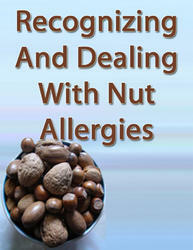 Peanut and tree nut allergies are virtually never outgrown. The basis for this development of tolerance to the offending food is not fully understood. Some foods tend to provoke more severe allergic reactions than others. Peanuts and tree nuts also seem more likely to elicit severe reactions than milk and eggs. The most common allergenic foods on a worldwide basis are cows' milk, eggs, peanuts, soybeans, tree nuts, wheat, crustaceans and fish (15). Allergies to cows' milk, eggs, soybeans and wheat are much more common among infants than among adults because these food allergies are frequently outgrown. Other countries may experience different patterns of food allergy. In Japan, for example, peanut allergy is rare, while soybean and rice allergies are much more common than in North America. This is probably the result of the popularity of the food in the various countries. The above list of eight foods or food groups, sometimes referred to as the Big Eight, probably accounts for 90% of all food allergies. It is possible to develop an allergy to any food that contains protein; over 160 other foods have been reported on at least rare occasions to cause food allergy (16). The most common allergenic foods are foods with high protein contents that are frequently consumed. However, beef, pork and poultry meat are rarely allergenic despite their high protein contents and frequent consumption. 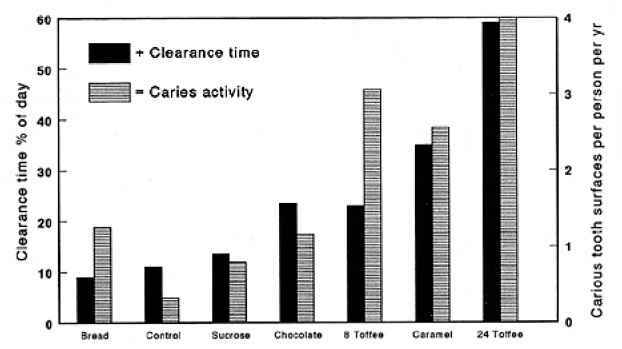 While chocolate is often regarded by consumers as a commonly allergenic food, only rare allergies have been documented to chocolate itself (16, 17). Of course, milk, egg, peanut and tree nuts are often mixed with chocolate to produce confectionery items, and these components are frequently offending foods which probably accounts for the confusion. The allergens in these foods are naturally occurring proteins (18). While foods contain tens of thousands of proteins, only a few are allergenic. These food allergens tend to be resistant to heat processing and digestion (19). Thus, the allergens in peanuts, tree nuts, milk and eggs are likely to survive chocolate processing. Effective treatments do not exist for IgE-mediated allergies. While antihistamines can be taken to relieve some of the symptoms, such treatments are not preventive. Epinephrine, also known as adrenaline, can be a life-saving drug for individuals susceptible to anaphylactic shock and such individuals should carry a self-injectable form of epinephrine at all times (12). • The exquisite sensitivity of most food-allergic individuals (individuals must avoid even traces of the offending food). Protect your children, your family and your lives by reading this important book. Recognizing And Dealing With Nut Allergies There are dozens of different nut allergies that exist and each allergy requires different methods to treat it. Don't assume that your doctors will tell you if there's something wrong, you need to learn for yourself what the warning signs are, what the symptoms are and how to treat the allergy if in fact you or someone in your family has it.